Pope Francis asks us to concentrate on being merciful as we begin the Year of Mercy on December 8, 2015, the Solemnity of the Immaculate Conception . home and then branch out! I bet you could do one of these a day. Visiting someone in prison or burying the dead is probably not one that you can do. You could pray for someone who has died. You could even send a card to someone you know is sick or check on people who live alone. Check with your parents if you are under 18. They probably have a few ideas! The point is: Think about it and then do SOMETHING! 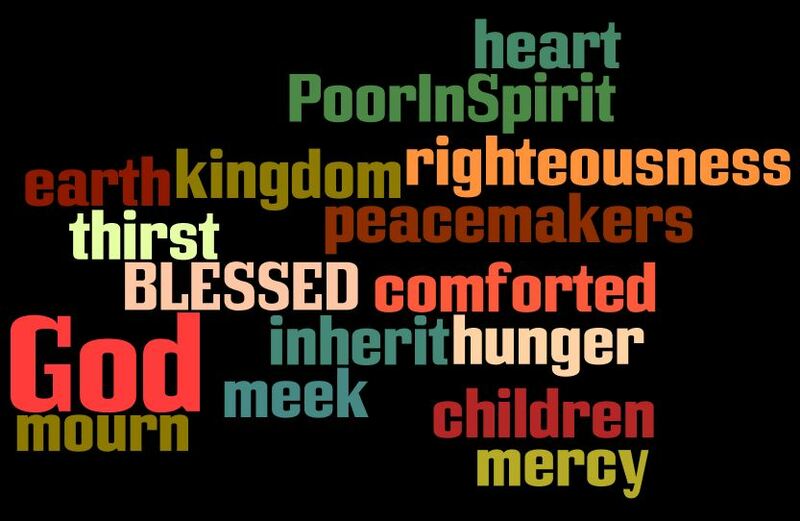 This entry was posted in Thought for the week... and tagged Beatitudes, blessed, bury, challenge, clothes, dead, feed, heart, hungry, Immaculate Conception, kingdom, mercy, peacemakers, poor, Pope Francis, prison, righteousness, sick, thirsty, today, works, Year of Mercy.